We haven’t had a good Apple mock up for a while – well not since this lot anyhow. Dutch site iPhoneclub.nl has rectified that though. It has partnered with concept artist Martin Hajek to deliver a series of mock-ups that imagine what the next generation low-cost Apple iPhone mobile might look like. Taking the many rumours as his cue Hajek has pictured a thin phone made from polycarbonate that sports a four inch display. He has also made a version with a 4.5inch screen in blue. 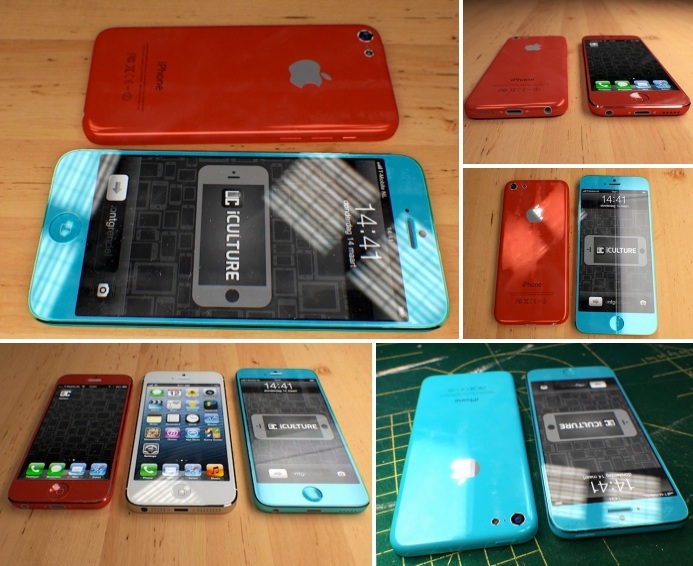 What do you think about a budget version of the iPhone – especially if it looked like this? I think it would sell well, but I am not entirely sure it would be good for the status of the Apple brand in the long run. This looks amazing. I am going to save my two upgrades for this! Please Apple make it!! !